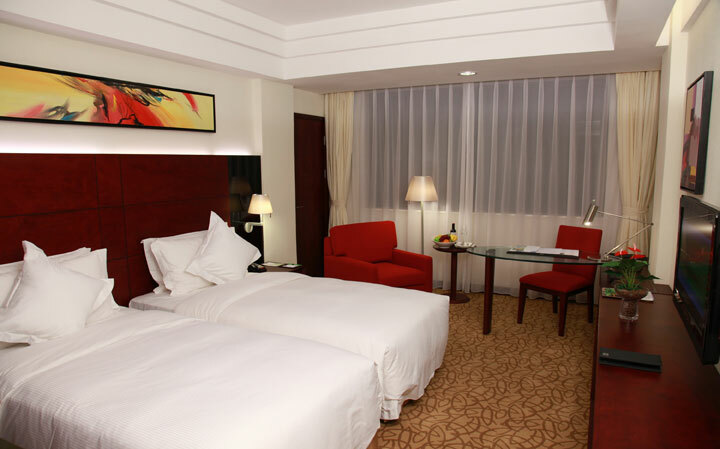 The hotel’s 157 tastefully decorated rooms and suites are the ideal “home away from home” for both business executives and leisure travelers. All rooms and suites have furniture of contemporary design, harmoniously matching color scheme, friendly lightings and a full range of classy amenities for enjoyment and convenience of guests. 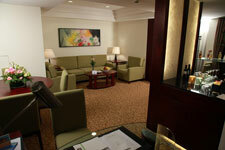 The hotel’s Executive Suite features a spacious and comfortable living room and a large king-sized bedroom compliment this truly luxurious suite. Please click on the boxes above to view the detail content. 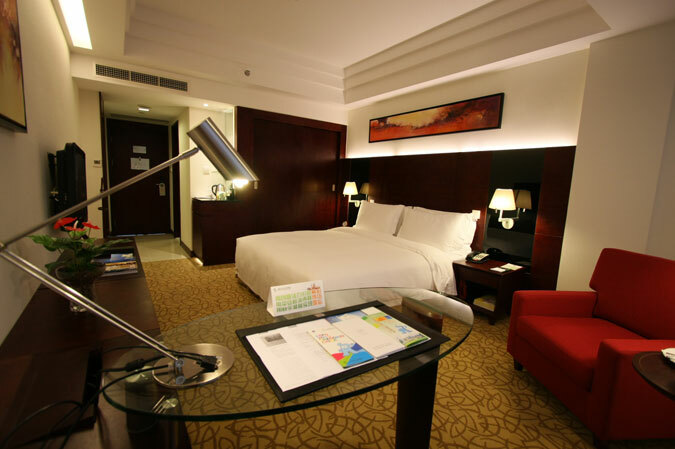 Modern and tastefully decorated rooms which provide either two 1.1 meters single beds or one 1.8 meters queen-sized bed with comfortable mattresses, high quality linens, enhanced lighting, international power sockets, work desk, bathroom features a vanity counter and bathtub with shower. 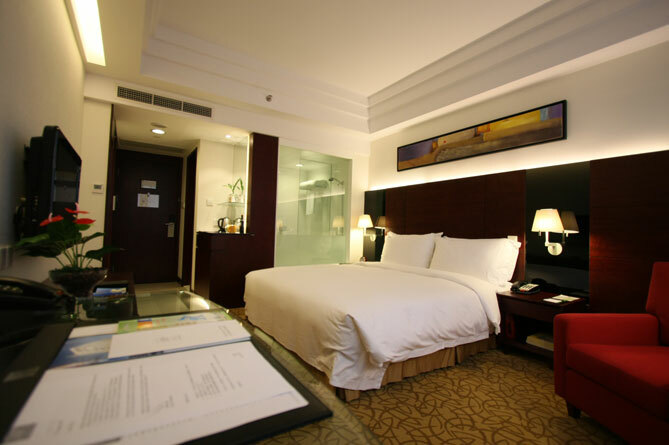 Modern and tastefully decorated rooms which provide one 2.2 meters king-sized bed with comfortable mattresses, high quality linens, enhanced lighting, international power sockets, work desk, bathroom features a vanity counter and bathtub with shower. 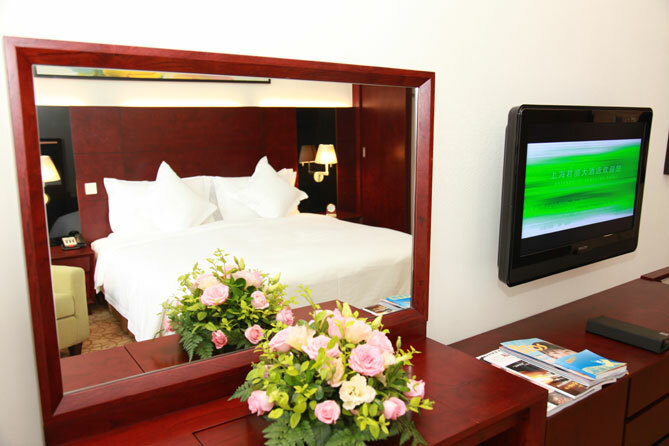 Spacious, modern and tastefully decorated rooms which provide either two 1.1 meters single beds or one 1.8 meters queen-sized bed with comfortable mattresses, high quality linens, upgraded amenities, enhanced lighting, international power sockets, large desk, bathroom features a vanity counter and bathtub with shower. 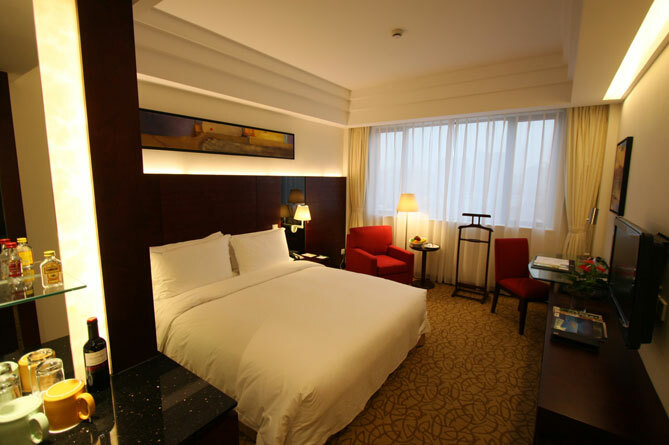 Located at the corner of each floor overlooking the Shanghai Hongqiao Economic and Technological Development Zone, the hotel’s Executive Suites offer elegant art decor and panoramic views from the living room and the bedroom. 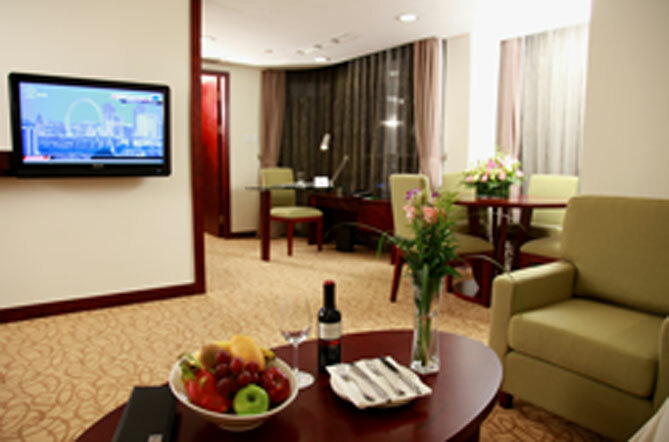 The 62 square meters suites offer spacious living environment, 37-inch LCD HDTV, full set of comfortable sofa, dining table, large desk, ensuite bathroom and separate guest washroom. 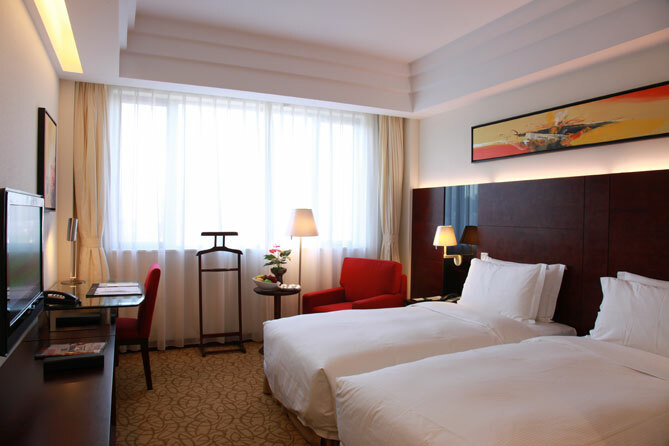 The suites provide one king-sized bed with comfortable mattress, high quality linens, upgraded amenities, enhanced lighting, international power sockets, large desk and bathroom features a vanity counter, separate bathtub, and shower. 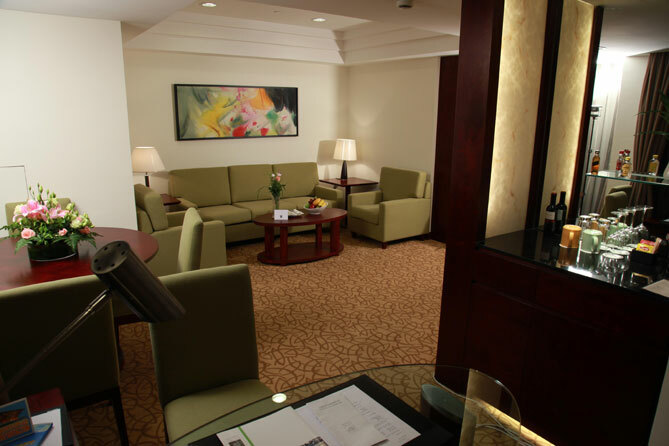 By making access to the adjacent room, the Executive Suite can further be converted into a two-bedroom unit to accommodate various needs of a whole family.